Motorsport Ireland have launched a new Strategic Plan 2019-2021. 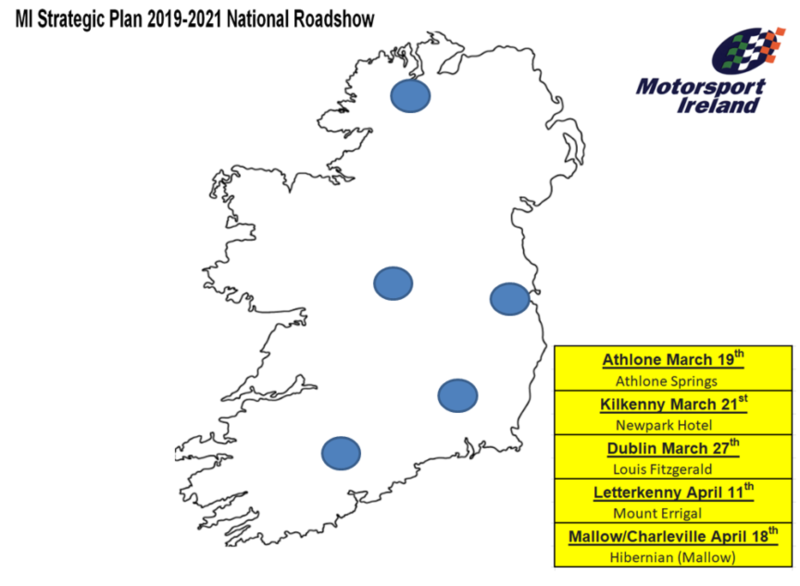 Motorsport Ireland are now implementing a national roadshow to showcase it to Motorsport competitors, officials, volunteers and supporters throughout Ireland. Read More on the Motorsport Ireland Web Site.